What is the actual value of LGBTQI+ consumers? The value of the Pink Rand is an oft-discussed topic, which mostly put the onus of inclusive marketing on brands and corporations. Business is a numbers game, after all, and with a local market value estimated at R152 billion in 2017 (or 3.8% of the GDP at the time) the LGBTQI+ community is certainly a lucrative market that justifies advertising tailored to the group. We are also aware of the fact that many LGBT people may have a larger disposable income, and that these consumers are particularly loyal to brands that make a point of considering them in their marketing campaigns. 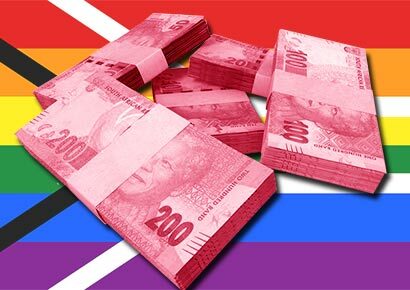 But the actual value of a community united under the rainbow flag may be much more than mere rands and cents – both in the rainbow nation, and across the world. 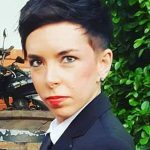 This is because the LGBTQI+ community possesses something infinitely more valuable in an era where online marketing is increasingly becoming the norm – this community has a voice (which it is not unwilling to use) and more influencing power than ever. On Forbes’ list of the highest-paid YouTube stars in the world in 2018, Jeffree Star stands out among a crowd mostly filled with video game commentators. This make-up artist and musician was the most-followed person on Myspace in 2006, and his list of over 12 million subscribers on YouTube has cemented him as the fifth-highest earner on the platform, with an estimated income of $18 million in 2018. Star identifies as an androgynous gay man. Among South Africa’s highest earners on the video-sharing platform, is comedian Mark Fitzgibbon, also an out gay man. In general, members of the LGBTQI+ community are prolific users of social media. While similar local statistics are not available, one report, released by the Department of Culture, Media and Sport in England in 2016, found that 89.5% of lesbian, gay and bisexual individuals used social media, compared to 70.1% of the general population. Social media hasn’t just given LGBTQ people a platform to connect with others – it has also given members of this community a resounding voice, and one that has influence in terms of a range of social issues. A great many of these voices have turned into influencers in the social media sphere, and even more have reached micro-influencer level. Many of these individuals are part of the millennial generation: a group that marketers find particularly difficult to reach in their marketing efforts. However, following the principles of social identity theory, this group relates heavily to people that they can identify with in some way. Peer endorsement in marketing is perhaps at an all-time high, and according to one recent study, influencer marketing in the US has seen handsome returns on investment for marketers, with an average of $7.65 in earned media value for every dollar spent on influencer marketing. Despite drawing the ire of gay activist groups, clothing brand United Colors of Benetton was far ahead of its time when it started releasing advertisements addressing social issues in the 80s. 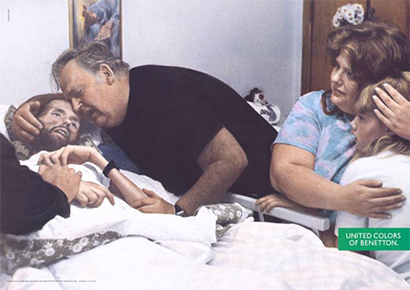 1990 was the year that AIDS became the number one cause of death for US men aged 25 to 44, and it was also the year that United Colors of Benetton released a coloured version of Therese Frare’s iconic image of gay activist David Kirby on his deathbed. Former chairman and co-founder of the fashion brand, Luciano Benetton, once said, “We did not create our advertisements in order to provoke, but to make people talk, to develop citizen consciousness”. Post-2016, many large brands have opted to utilise activist marketing campaigns as a part of their overall marketing strategy. Most recently, one only has to think of Nike’s controversial campaign, featuring NFL star Colin Kaepernick, or of Gillette’s equally contentious ad addressing toxic masculinity. Deciding to grapple with social issues comes at the risk of missing the mark, but when it is done well, these campaigns easily go viral. As the acronym it uses to identify itself has grown larger to accommodate a greater number of sexual orientations and gender identities that fall outside of accepted norms and binaries, so has the LGBTQI+ community’s willingness to engage about issues that are not necessarily theirs to protest. LGBT activist groups are on the front lines when other civil rights issues are being protested, and this may be the legacy of the history of protest associated with this group. As the number of their own allies increases, they are gradually becoming allies to other groups, utilising their influence to promote causes, and their voices to shoot down injustices. Marketers would do well not to overlook this group. What makes the LGBT community valuable to marketers should not be only the potential spending value that they harness but, more and more, their influence on the people around them. This group found their voice in the 20th century and it has never been louder than it is now.